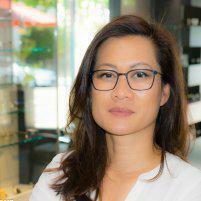 Testimonials & Reviews - Danville, CA: Jennifer Hoang, O.D. Dr. Jennifer Hoang always appreciates feedback from her valued patients. To date, we’re thrilled to have collected 11 reviews with an average rating of 5 out of 5 stars. Please read what others are saying about Dr. Jennifer Hoang below, and as always, we would love to collect your feedback. Perfect service and great products always works. Excellent exam experience with Dr. Hoang. Very professional and caring. Excellent customer service and follow-up from Sonny. Thanks so much! Excellent service! I love my new glasses! Dr. Hoang and team are great! This office has all new equipment and they stock frames from modern designers as well traditional. I was referred by a friend for my first eye exam, and having been coming back ever since! Great customer service. We were extremely happy with the thorough exams given to our whole family. Also, the office has great selection of fashionable frames. Friendly and attentive staff who are also very accommodating with appointment scheduling. I once had an unexpected infection in both eyes right before traveling. Dr. Hoang promptly assisted and helped me recover timely without having to cancel my flight. I love the wide selection of frames and attention to each person's needs. I get compliments on my frames almost on a daily basis. The staff are very professional, knowledgable, and very personable. There are often sales and discounts available and a wide range of prices that will fit anyone's budget. I would highly recommend Eyes on Hartz to my family and friends.